I’ve been hearing stories about Cuba since childhood, as my parents went on their honeymoon there. Then, I ended up in high school that had Jose Marti for a patron. To European visitors, Cuba has been opened as long as I can remember, but the country has never experienced a tourist boom like it happened with Thailand or Egypt. It was just one of many islands with stunning beaches in the Caribbean. Of course, on top of everything, it had the old cars and colonial architecture, but so did some other countries in the region. Since the US lifted a ban on traveling to Cuba almost 2 years ago, it seems to me that Cuba has become a new ‘trendy’ destination. We can’t deny that Cuba is experiencing a tourism boom at the moment. On every travel forum, someone talks about going to Cuba on a weekly basis, and even my American friends who barely travel, suddenly want to visit Cuba on their next annual leave. Why? Why does everyone want to visit Cuba now? Cuba is a truly unique country, surrounded by many myths, and filled with antagonistic ideologies. Its natural beauty, overwhelming cultures, and contradictions is one of a kind. But, as I already briefly said in my travel tips for Cuba article, there are many misconceptions about traveling there. Many travelers who go to Cuba, stay in Havana, Vinales, and Varadero. They enjoy the tourist route and come back home, astonished how fun Cuba was, but complaining that the food was awful and there were lots of scams. Those who visit Cuba on newly launched cruises, usually spend a day or two maximum in Havana loving the old cars. I heard the same thing countless numbers of time. 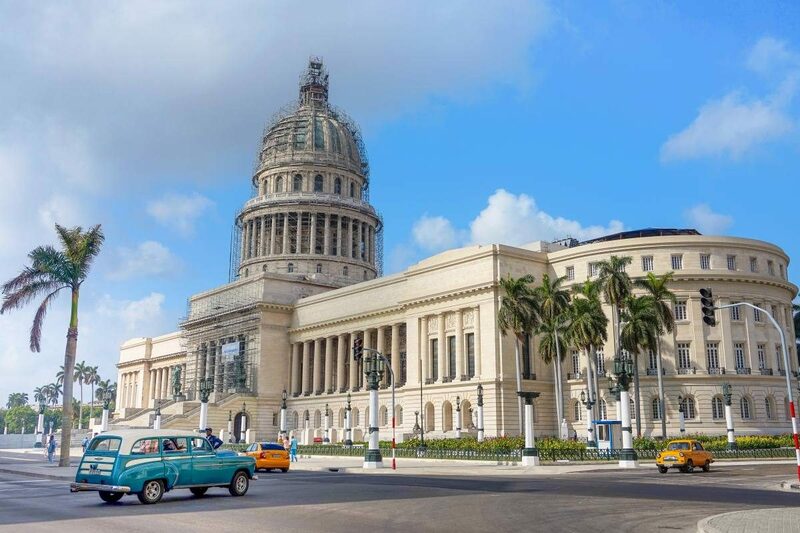 One would say that the sudden increase of tourism in Cuba is a good thing, but knowing what I know – after my visit to Cuba, I’m not entirely sure about that. Cuba isn’t there only for tourists’ entertainment. Going to Cuba isn’t the same things as going to Riviera Maya in Mexico, and that’s what many people simply don’t understand. The situation in Cuba is often hard to understand even for Cubans, leave alone visitors who spend a very short amount of time there. I myself, still have a lot more to learn about Cuba, this is why I’m planning on returning at some point, but here’s what I can tell you so far. I was fortunate enough to visit smaller towns with no tourists at all, and thanks to my fluent Spanish I was able to have longer chats with locals. I began to struggle with the way Cuba is presented on social media. Especially since it’s one of the upcoming ‘Instagram-famous’ places. By no means, I’m saying not to visit Cuba, quite the opposite. But if you visit, please understand the place beyond the colorful walls on Instagram. One of the biggest misconceptions about Cuba is the perception of it being Americanized. That’s why everyone should rush to see it – many people say. Here’s a spoiler alert: the country isn’t going to change very soon. While the cruises dock there these days and hotel chains like Kempinski are purchasing lands, the situation in the country isn’t going to make it commercialized anytime soon. Because who’s going to pay for the renovation of the road that leads to the fancy hotel? In fact, due to the increase of tourism the country is experiencing various problems. Starting from the fact that the country did run out of beer a few months ago, because tourists have drunk it all, through terrible roads and lack of many gas stations, to heavy limitations on dollar exchange. The country isn’t ready to become the next spot with luxury resorts outside of Varadero and fancy Michelin star dining. With current Trump administration, things have become even more uncertain. No one knows whether the new U.S. President will live up to his promises of reversing Obama’s rapprochement with Cuba if, in his own words, the island “is unwilling to make a better deal for the Cuban people”. I saw an article by a fellow travel blogger some time ago that said they people painting buildings, rebuilding old walls and the capital building was full of scaffolding. This person made a conclusion that Cuba is preparing for something big, such as an influx of Americans to come and visit. While it’s a fair observation, as Havana is being constantly renovated, it’s only an illusion. In fact, if I didn’t talk to locals I’d have thought the same thing. Apparently, Havana has ALWAYS been under renovation. Locals explained to me that when someone important comes to town, political delegation or the Pope, the main streets leading from the airport all the way to the capital building are being painted and rebuilt. New bricks, new bright colors, new ornaments – everything looks colorful and shiny. It doesn’t last very long, as it’s made in a crappy way in order to someone to get money for the new investment when the time comes. Also, the constructions don’t touch any side streets, ‘because they won’t let the important people go there’. I know this issue too well from Poland, a country with the same communist past, where these ‘investments’ were happening way too often. The most obvious example would be the infamous tunnel in Warsaw where someone decided to spend millions on building a tunnel (that actually ended up being not tall enough for trucks) on a perfectly good road right next to the river. The reason? To put some grass on top of it so someone up there could make a lot of money. We all go to Cuba to experience the old cars. They’re cool, they’re cute. I remember some of these cars from my childhood, especially Fiat 126p known in Poland as ‘Maluch’ that’s making its debut in Cuba nowadays. My mom had this car, my grandma had this car, everyone had this car. There aren’t any of them left in Poland anymore, but in Cuba they’re everywhere. It was cramped and hard to drive, but it was economical so that’s why they’re in Cuba. The old ‘Cuban’ cars are actually very expensive and extremely hard to maintain. When we arranged with our taxi driver to take us to Vinales he asked for $15 per person. To us, it wasn’t much for a 2-hour drive, so we thought we’re getting a good deal. The driver showed up to our casa particular late, but didn’t want to tell us why. The owner of our casa told us that the driver was up all night repairing the car, as it broke down the day before. He gave us the word that he’s going to be there and he wanted to make money, so he was. But he had to go through a lot of trouble to get his car ready for us. On the way to Vinales the driver opened up about the car situation, explaining that in order to buy this car he had to sell his apartment, following a divorce. He said: ‘Once I divorced, I bought an apartment but had no car, so there was no work for me. I moved out and got this car, but it keeps breaking as it’s very old’. The reality is that those classic cars aren’t the only cars available in Cuba. There are many modern models out there. Once I arranged a car rental (which was a new white unknown to us model) and took it around smaller town, we always received many strange looks. It wasn’t because we were 4 white people in a car, but as I was told later, it’d be just like cruising around a small town in Nebraska in a Ferrari or Lamborghini. No one local can afford those cars. There is a perception that because the internet still isn’t available to everyone, it may seem that Cubans must be living in their own world, only exposed to the information their government wants them to hear. During my first stay in a casa particular I was astonished how much do locals know about the world, its history and culture. When I said I was born in Poland, I ended up having a discussion about some details from Polish history I didn’t expect anyone foreign to know. Locals use their friends and relatives abroad to send them books, newspapers, and magazines to learn. They’re definitely not living in their own bubble. They aren’t brainwashed. In terms of the impact of foreign culture, bars play modern pop like Taylor Swift, Ed Sheeran or Demi Lovato on a regular basis. They know the latest songs and listen to them on their phones or MP3 players. If you’re worried about potential scary diseases in Cuba, you can stop now. 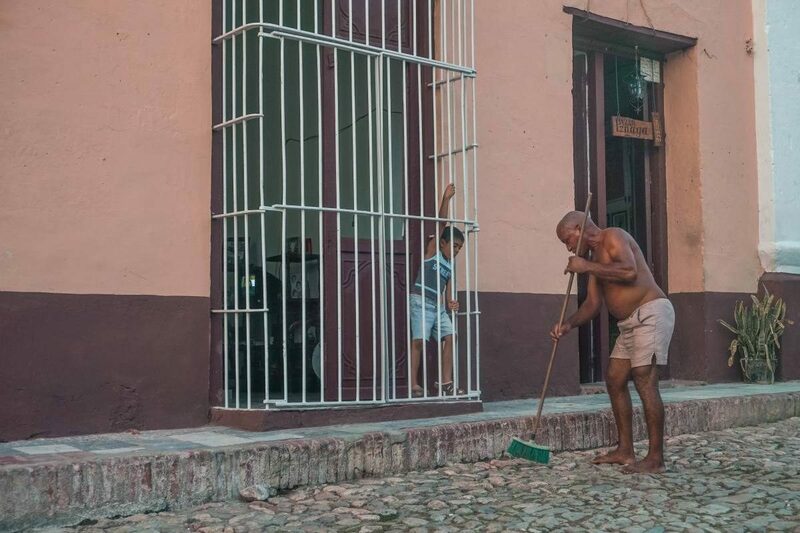 Cuba is very poor, and yet the country has some of the healthiest and most long-lived residents in the world. But that’s not all. Thanks to government investment in scientific research (I think it’s worth mentioning that any government’s actions can be classified as just black and white) Cuba is way ahead of the medical innovations than the US. If you turn on the TV in the US, you’ll see the crazy amount of commercials promoting biological drugs that work for many autoimmune diseases. Humira, Enbrel, Stelara, just to name a few. I notice it a lot since I have psoriasis myself, but biologics aren’t yet available for me as a non-citizen. It turns out that while these drugs are ridiculously expensive in the US or Australia (approx. $46,000 a year) since they’re new and supposedly its production cost a lot, they were innovated and used in Cuba for a while for a more affordable price. Let me give you another example: CimaVax vaccination. It targets a growth factor in cancer cells in a way that can arrest the spread of the disease (particularly for lung cancer) and costs a $1 to make! Cuba is an unlikely global leader in public health and scientific investment. While travelers can stay in some of the Varadero’s luxury resorts and hang out on one of the most beautiful beaches I’ve ever seen, unfortunately, Cubans can’t share the same experience. And I’m not talking about the issue of affordability of the resort, but the beach itself. In Varadero, there’s only a small amount of public beach. While officially, beaches in front of resorts don’t belong to them, locals aren’t allowed to go there. If they try, the police will take them off the beach immediately, as they don’t want locals to hang out with tourists. While some visitors want to enjoy a high standard of accommodation and would prefer to see only the ‘fake bubble’ of Cuba within the borders of the resort, I’d ask myself a question: why go to Cuba then? This is also why I recommend staying in casa particular over a hotel, as you can get to know and talk to some locals, support them financially, save more money (because hotels are expensive), plus the standard of casas is usually high. After a few days in Havana, I got to visit Vinales in the western part of Cuba. Vinales is known for the lush sprawling tobacco fields, as most of Cuban cigars come from there. Tourists almost always buy cigars in Cuba without thinking where they came from, and I would have probably done the same if I didn’t stop by a small farm. My friends and I were taking photos of a goat standing in front of the tobacco barn when an old lady gave us a sign to come in. So we did. She showed us around her farm, explained us the drying process and showed us how she rolls the cigars. After the tour, she asked us if we were planning on buying some cigars and since we did, she explained to us how does her business work. It turned out that every tobacco farmer is forced to give the government 90% of their produce. They pay an absolutely ridiculously low money for the amount of work involved. The governmental factory then adds chemicals to the tobacco, seals the cigars with a glue and fancy stickers, packs them in a nice box, and sells them at an insane markup in government-run shops. We paid less than 1/3 of the price the cigars normally costs and they were seriously the same, minus the fancy sticker. The lady made us promise we won’t post any photos of her face. 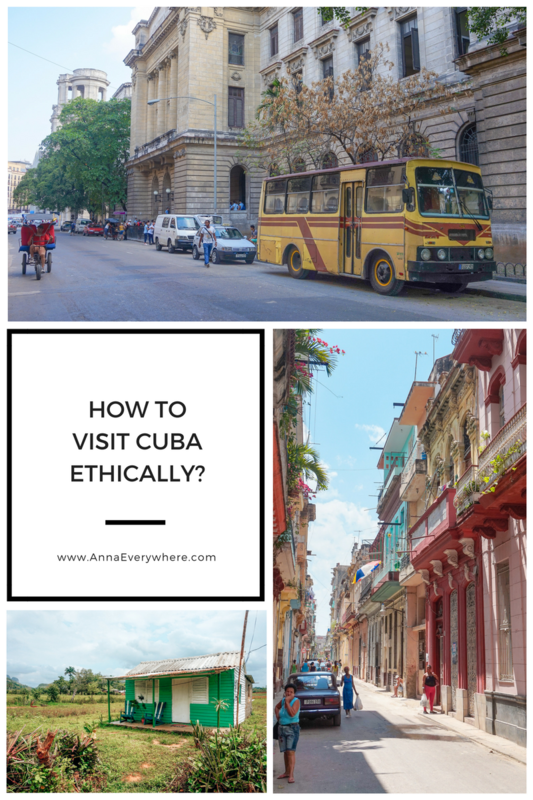 So what can you do to visit Cuba ethically? Bring useful things that you can give locals. Painkillers, toys, school supplies, gardening gloves, vitamins, sunglasses, fishing lines, and clothes will be welcome. Stay at casas particulares instead of resorts and big hotels. 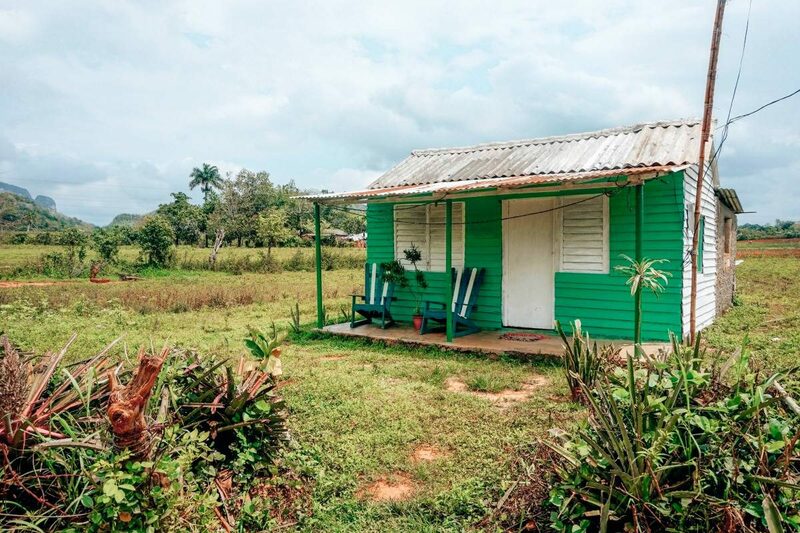 Another issue with big hotels chains entering the Cuban market is that there will be no more shortage of housing, and therefore need for casas particulares. While Cubans will be hired to work at these hotels, they won’t make more than 15 or 20 CUC a month and get standard food ration cards. It isn’t enough money to have, especially considering that one night at casa particular costs visitors 20-35 CUC. After the governmental fee reduction, they can still make more money on a few nights than for a month’s work at a new hotel. 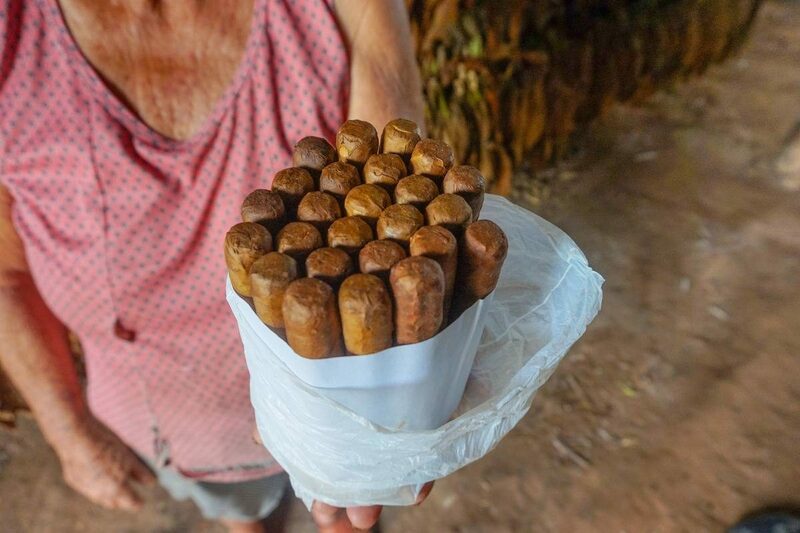 Buy cigars directly from farmers in Vinales. This way you can make sure that the money goes directly to those who produce tobacco. 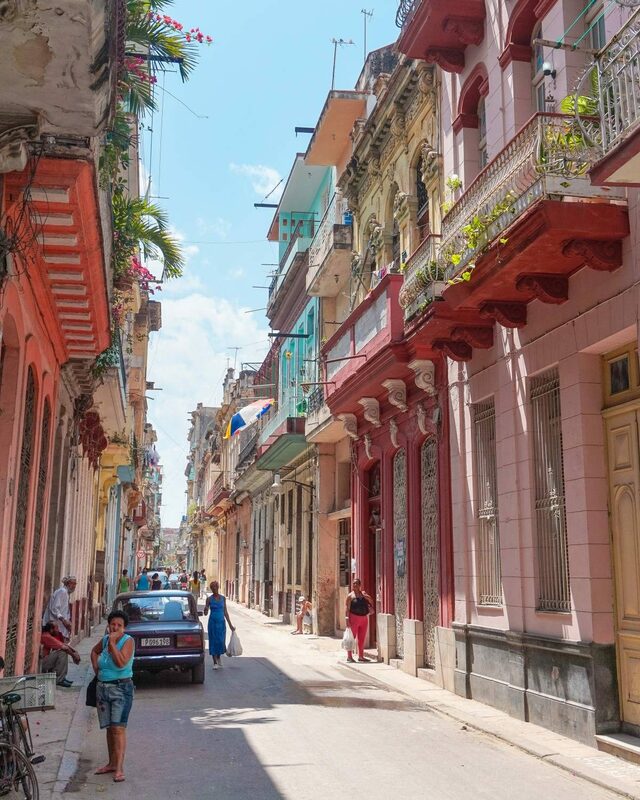 Don’t visit Cuba just because it’s trendy because it’s now sort of opened to Americans. If you want to visit Cuba ethically, try to understand the history of the country and its situation. What can be cool and different to you, might not be to locals. 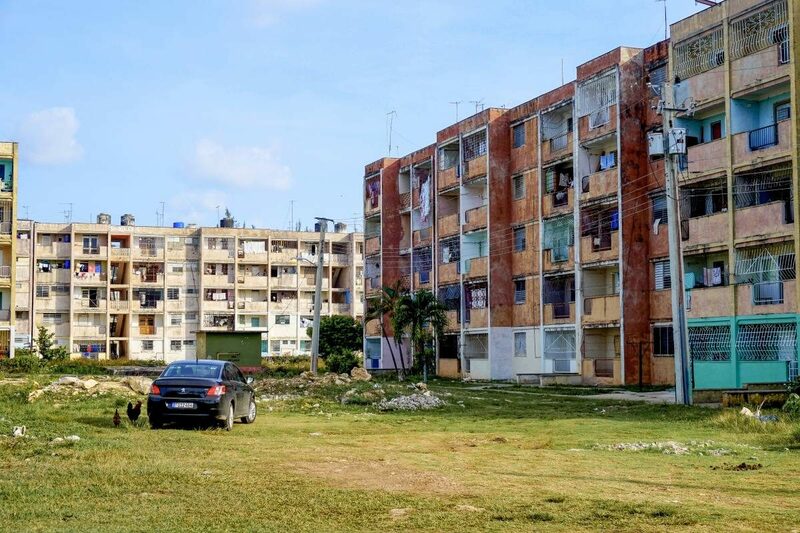 This is why no one should treat Cuba like the next ‘Wonderland’ and complain about its faults, but respect it for what it is and help locals when we can. Questions? Thoughts? Let me know in the comment section below! Wow! I loved your stories and captured photos. Amazing! Take good care while traveling. I’m so glad you addressed this in a post. Cuba has been at the top of my bucket list for years because I wanted to learn about the history of the country and how it has developed. Your tips were really helpful but I had one more question. When do you think is the best time of year to visit Cuba? It’s usually advisable not to visit between July and October due to hurricane season and wet days, but apart from it anytime really. Thanks I will look into it. I just started following you on Instagram and I love your latest pictures btw. Excellent post. I’ve been turned off by people who go to Cuba and seem to blantantly ignore what life is like for the people there. I’m glad you’ve outlined how to travel there ethically, and some of the problems that Cubans face, and how we can be cognizant if we do visit. Thank you for sharing. I will be going to Cuba in June with my husband. Can you recommend a site where you found your casa’s? We will only be there for 4 days but would like to be with the locals and plan to bring gifts from Florida. Airbnb actually. Absolutely an easy process. We stayed at 2 different ones. One right on the sea with a balcony that had steps into the water. And one in Old Havana which was beautiful. Just look at the ratings and find one that you would enjoy. Or I can send you the ones we stayed out which were absolutely perfect, although I’m sure there are many of those in Cuba. Cuba had a dramatic history, and exploring those phases of Cuba will be so fantastic in this new era. Thanks Anna for sharing a nice post. Hi Anna. Thank you for writing from a different perspective. Now I know what is actually going on behind the colorful photos of Cuba in the social media. I couldn’t help but notice a few repeated sentences/paragraphs in the article. Perhaps you may want to go through the article again and get that sorted out. Apart from that, it was beautifully written. Keep on writing. You are good at that. Have a good day Anna. It could be my WordPress editor that recently copies and pastes stuff for some reason. Thanks for letting me know! YES – an amazing, eye-opening post. My wife & I went a couple of years back, … and while the tour was given a “religious” “people-to-people” structure [of necessity, then, for Americanos! ], we definitely WERE “in a bubble.” I suspect that for Americans, in particular, even in 2017, one has to be pretty savvy and determined to do it your way, but it’s not as daunting as a 500-mile “hiking trip,” among many other alternatives. This article is very interesting and showing the true face of current Cuba. For all who think Cuba is going to be another Thailand this will be a eye opener. Every country has it’ s own ups and downs and Cuba is the same. Like Cuba has advanced healthcare but home situation is not good. Thanks for this interesting article and keep these kind of things coming. This is what should we called a real travel blogging. Cheers. This is such a refreshing read on Cuba. Typically I am seeing how cute and colorful Cuba is and no one is really talking about what’s actually going on or anything other than superficial posts not even mentioning anything other than how cool the old cars are. It’s also so amazing to go ANYWHERE outside of the US and find out the healthcare is way better. Haha, if only I could convince my parents. I just don’t think I could visit Cuba at least not in its current state. People literally float on rafts made of trash to escape the Communist utopia of Cuba, so it seems kind of insulting in some way to fly over there willingly and walk around as an American who can leave whenever I want. I’ve been to Cuba a number of times, never as a tourist, even though I have at times entered through Mexico on a tourist visa. 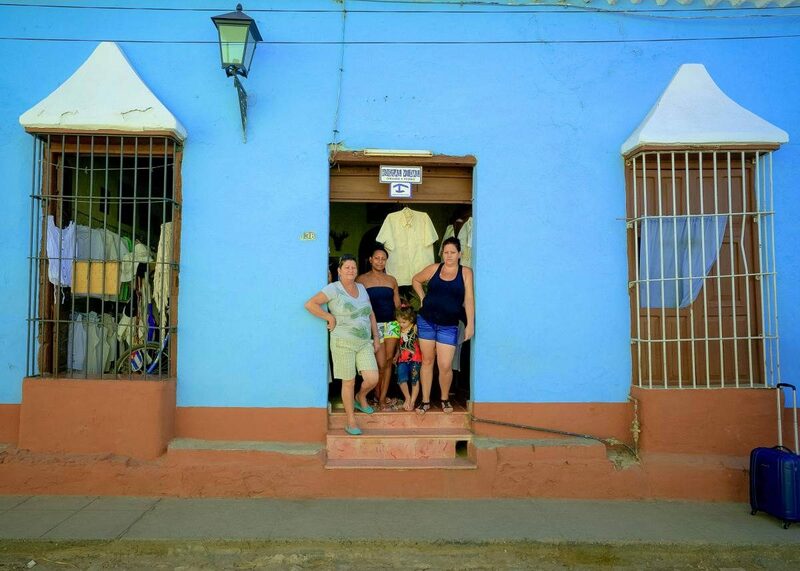 I’ve had the privilege of staying with the people of Cuba, not in a Casa Particular, but in the homes of the people. There is a vast difference between the homes of the common people and those who are approved by the government to run a Casa Particular. You learn a lot by spending time with the common people, but this is not usually available to most tourists. Here’s a few of the things that you may not know. 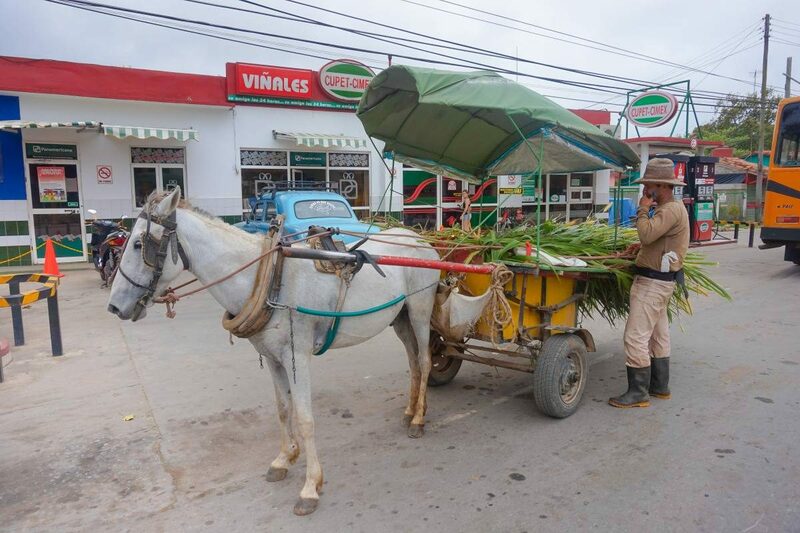 Their diet is very limited, the average Cuban eats meat once a week, they aren’t allowed to eat beef, cattle are owned by the government and beef is eaten by tourist and government officials. The primary staples of their diet is rice and beans. Most cuban’s can’t afford to put butter or mayonnaise on their table. They have fairly good medical training, but the standard hospital doesn’t have medicines or supplies. It’s not uncommon for catheters to be reused over and over again. Yes, take over the counter pain medications and vitamins as gifts. These are precious because of the scarcity in the country. The common home is extremely small, just a few rooms and most often just one or two bedrooms. All the children sleep together in the same room, even into the teen years. Take a toilet seat with you too. You won’t find one in a common home, they simply aren’t available. The experience of the tourist is drastically different from the experience of the common people. Eating at a restaurant is something they never do. There are grown adults that have never eaten at an average restaurant, the cost of one meal is as much as they make in a month. It would be like an american going to a restaurant and paying $2500 for a meal. Anna is planning to go back, I hope she takes a time to enter into a “supermarket” for the locals, and she will see rare peaces of dirty meat covered in flies, no soap or toilet paper, no vegetables anywhere – because the government has never invested in agriculture so the few that is produced there goes to the tourists and the government. Great blog, though. Goes way beyond colorful pictures. Everything Stephen said is absolutely correct. I haven’t said that Cubans live in big places, or eat out. They don’t, obviously. My reply to this post is going to be way too long to write it down in here (this is a recap of my thoughts). All I’m going to say is that I hope Cuba (on my bucket list for a very long time) won’t become another “Costa Smeralda” in Sardinia. You say that it’s not going to happen anytime soon. We, Sardinians, thought the same until the Aga Khan bought the entire coast (Costa Smeralda) and transformed one of the most beautiful parts of the Island into a VIP /party area that has nothing to do with Sardinia whatsoever. That said, as for all these places that get opened to mass tourism, the risk of “contamination” and less than ethical practices is unfortunately very real. Maybe it won’t happen overnight but it will, eventually. Unless the government does something to stop or contain certain practices, but we all know that when money is involved, the culture, the roots and the beauty of a country are thrown out of the window without second thoughts. 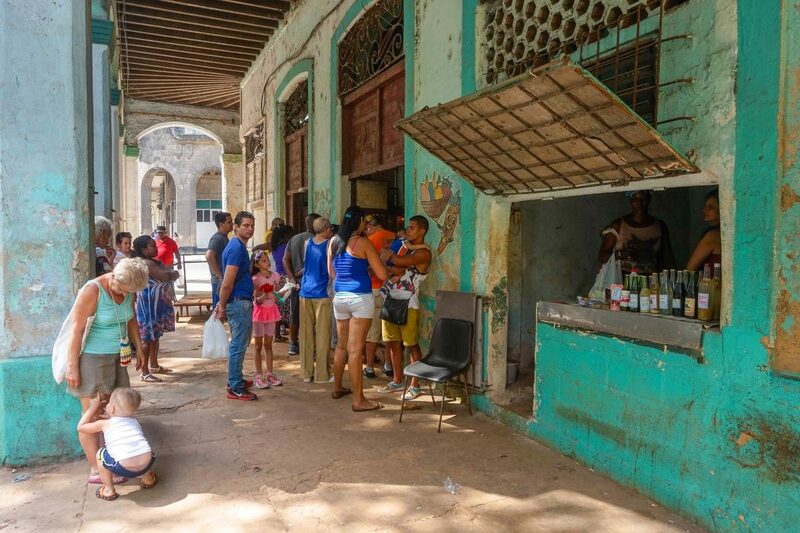 I’ve seen this over and over but I’ve also seen that after a while a good portion of the tourists want to experience the “real deal” again and I hope Cuban people, in this case, won’t sell their soul for money. A lot of friends told me about casas particulares and I like the idea, but I’m afraid that in time even this will start to become “less genuine”. Unfortunately, with mass tourism, the 100% real atmosphere of a place can only be seen in small villages where there is nothing to do other than talk to the locals and hang out in an old bar playing cards with them (I’m thinking about Sardinia now), but who want to spend ALL their holiday doing nothing in a remote village? There must be a balance to avoid completely ruining the real deal and the necessity to make space for the infrastructure to allow the tourists to have a good time (however they decide to have it it’s up to them). The government is the one that has to do something to regulate it. Articles like these are very nice and useful to educate the tourists but let’s get real… the majority of people will just think about their own vacation, that’s why is the government that should be key in preserving the real Cuban essence (not allowing permission to buy coastal space to build hotels right by the beach is one of the many examples I could bring). I hope I will be able to still feel the Cuban essence when I finally will visit the country, even if I won’t shy away from also relaxing in a tourist location as well. A mix of real experiences in small villages and just relaxing on a touristy but awesome beach would be an ideal compromise to me. You’re absolutely right – the majority of people will just think about their own vacation. It’s so sad to see it happen with Sardinia. I just saw the same thing happen with Tokyo in Japan. It used to be an authentic place to visit and now, few years later, I see animals being abused for tourists, mass tourism everywhere, it’s not enjoyable anymore. You’re absolutely right that you can. My husband and I just came back from our first trip to Cuba. I definitely feel conflicted on how I feel about the experience. We did stay at a wonderful casa through airbnb, but the price was the same to stay here in the states…we paid about $100 per night. We also went to a farm in Vinales and bought cigars there, which they sold us at the same price for decent cigars at the shops (roughly $5CUC per cigar). Taxis were also inflated and when we asked to pay $10CUC to go from Miramar to Central Havana (maybe 7 miles), we were told no. The only reason they eventually said yes to $10 was because it’s all I had and I needed to exchange my Euros to get more CUC. Eating at a paladar felt weird too because all prices were in CUC, meaning locals probably couldn’t eat there either. Everything seems to be geared towards tourists, which I understand because it makes them more money than their monthly wages. We met a dentist who works as a tour guide on the side and a physics teacher who runs a bar for tourists, both to help make extra money. The dentist said he graduated with 9 others and they all left the practice to work as cooks or bar tenders or tour guides full time because the payment in CUC is higher than their monthly wages as a dentist. So even when we ate and stayed in family homes, visited these family farms, we were given the tourist experience. I can honestly say my favorite part of Cuba was going to the small coffee shop in Miramar and ordering my cafe cubano for 2CUP (local currency) and drinking with the locals while they waited for their bus to work. It was the only real Cuban experience I felt I had during my stay. Hi Anna, really nice post about Cuba experience! We went there with kids this year and it was amazing. Stayed at casas particular and enjoyed sandy beaches of Cienfuegos, Trinidad, Varadero and Havana (playas d’este). Absolutely no problems. Will go then again! Just got back from Cuba after visiting over the new year. 60 years to the day of the Revolucion. The locals still marvel that Americans want to visit, as most of their visitors from NA are from Canada. The beaches are beautiful, especially with no hi-rise structures whatsoever. But… the broken bottle glass and litter along the sand keeps anyone from strolling in the evening without sandals. Be careful! Cuba is a paradox until you understand the history. I hope it changes for the better, and that has nothing to do with Americanization. I have traveled to Cuba many times over the last 3 years. I meet up with a local so I see the true Cuba. To experience how the locals live all you have to do is go beyond the tourist areas. You will see extreme poverty, filth, garbage everywhere (as the government doesn’t pick it up), (tourist beaches are cleaned and provided with garbage cans, local beaches are the opposite. No cans to put garbage so its littered everywhere) but generally happy, simple people that are grateful for anything you give them. There are many older beggars. I didn’t have small change one day so I gave the man all of my snack food from my bag. He thanked me numerous times. The older people you see in the non-tourist areas seem to suffer the most. We are gluttons compared to what they have access to. Many times the grocery store is empty of meat (chicken or hotdogs), they aren’t allowed beef, fish, or seafood or cheese. The canned or jarred foods are more expensive than rum! There is bread and vegetables and fruit sold at neighborhood stalls….if available. (I was there over the holidays 2018/19 and tourists were complaining about a lack of bread. I was hearing that a trade partner was angry with Cuba so they shut off the supply of flour). 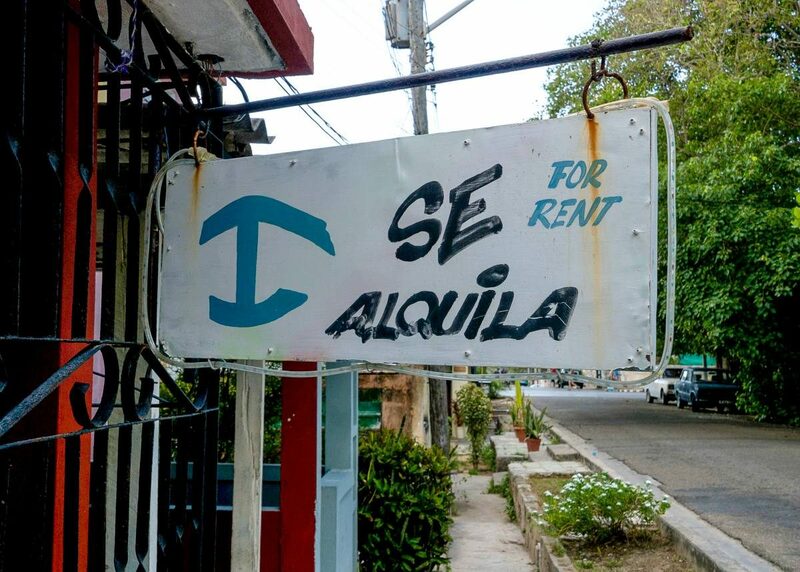 There are many Cubans that have figured out a way to make an extra buck. The Black Market for income or goods seems to be pretty deep and secretive. They do not trust one another and the police are always watching….especially the Cuban male. If they are stopped they must produce ID, if not they go directly to jail. The police seem to shake down individuals often including taxi’s. The Government controls everyone and everything and they remind the locals of that often. As a tourist it is very safe there, being a blonde female I stick out greatly. From the females I get looks of disdain (they assume I’m a rich European or American? ), and from the males, they typically are not conservative with the catcalls. I usually bring an extra suitcase full of snacks, candy, gum, toys, kitchen utensils, dollar store lights, small packable items. Everyone is grateful. If they have a job, they work hard and are willing to please you. They all know that the tips flow when there’s friendly service. The casa particular’s are the best deal! I have stayed in many. All have been very clean with regular attention paid to your comfort. Most will offer breakfast at $5. Do not turn this down as it is the best food anywhere! I find the restaurant food uses too much oil and I usually get sick from it. I always look forward to going and look forward to returning home to my comforts. I see our access to an abundance of nutritious food and hope that one day all people of Cuba with be given the opportunity to have the food that we do. Go and enjoy! Treat the people nicely…. Loved the post and story about the tobacco farm. My wife and I are visiting Cuba in April and I am looking forward to visiting a farm. Thanks the tips regarding this! Hi, Anna. I have been collecting children’s books in Spanish (I have about 20) to bring in hopes of donating them to a school when I go in April. Do you think this would be an okay gesture that wouldn’t be considered offensive? I read books are hard to come by there, so I thought it might be a good thing to bring. I was just in Cuba and was amazed at the country. No amount of pre-trip reading could have prepared me for what I saw and experienced, and I’ve actually done much more reading after the trip. I went with a tour group of 12 people (Trinadad, Cienfuegos, Vinales) and then spent 2 more days by myself in Havana. 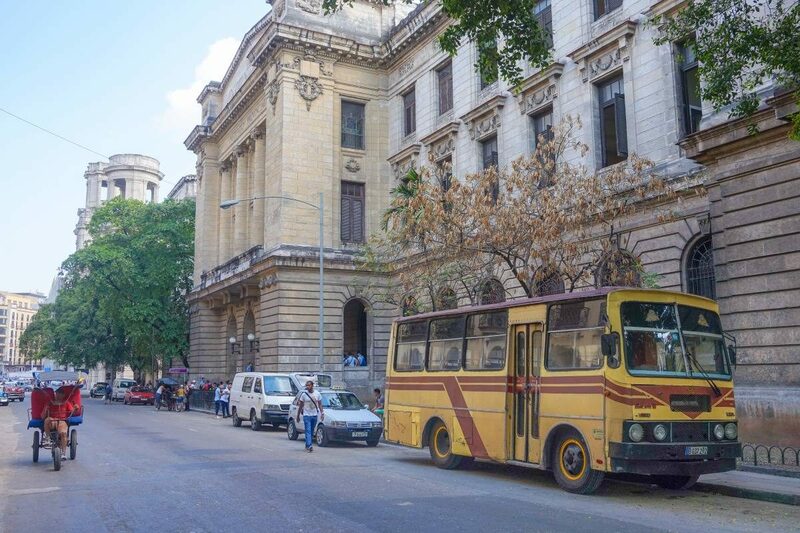 This allowed me to have organized transportation and casas and a local guide, and explore the less touristy parts of Havana on my own. It’s been two weeks, and I’m still in awe that the people can live there, but I guess if that’s all they know, they have just learned to make do. I know the government did not want to open up the country for tourism, but it is really bringing in the money and now there are two classes, those who have paltry government salaries and those more privileged to work with tourist and tourist money. And it is especially sad to see the older people who are barely scraping by with their minuscule salaries, let alone to see how run down so many of the homes are. It’s very safe for tourists as I’ve read that any Cuban caught harming a tourist will go to prison for 15 years. I would not be surprised if that is true. For the most part, Cubans have a very harsh life and it’s made me more aware of the resources I use and am more appreciative for what I have. As someone who went to Cuba before the U.S. lifted the ban (there were more than one way around that too…), I really appreciate this post. My father spoke some Spanish at the time and we spent a lot of time talking with the workers at the resort – we even went to play soccer with them one day. Although I wasn’t able to spend time exploring the local places alone (I was 15ish), I was shocked with some of the stories I heard and have always wanted to go back. Living a holiday life and not seeing the reality around us is common, and not something that people just do in Cuba. In fact, with most places around the world, when people go on holiday they only want to see this side of things, they want to be able to disconnect from all that is bad in the world. Cubans, in my experience, are incredibly generous people, making this country a good place to do this, even at a cost to the hosts themselves.